Let me give you a little background about myself. I have been a FAT boy ever since I can remember. It took it’s toll on me in various speheres at various times. But somehow I managed to lose all that junk.But I was not satisfied, as i knew it was just momentary and with time, I would be fat again. Fitness till then just meant being slim. Following the persuasion of a close friend (Who is also a fellow CrossFITter), I joined CFH with the aim to change all that had plagued me before. And fortunately, the going has been just splendid. This thing is not your regular GYM workout. This is raw, undisguised, sweaty and intense, which basically is the USP. I can vouch that this is the most amazing way to change your fitness and abilites coz this ain’t boring and regular. 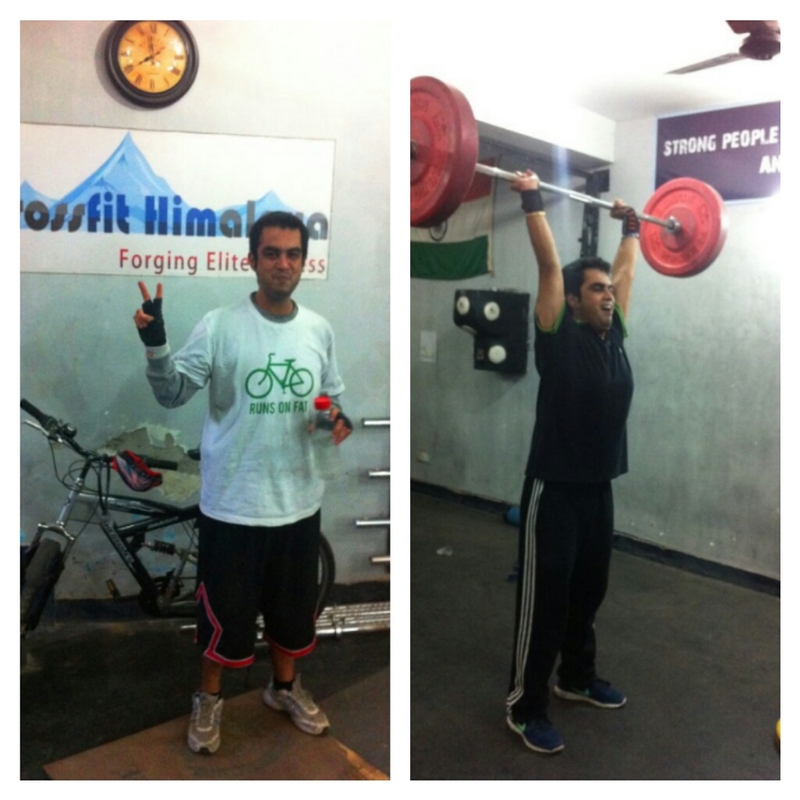 I have seen changes in stamina, strength, flexibility and ofcourse weight(lost 12 kgs!!!). The coaches (Mr. Pandey and Naveen) assure that you achieve your goals the right way. Nobody is ever out of their sight and they pay no heed to bad form, which makes them very fine trainers and it becomes a pleasure training under them. Their way of planning the WODs is very technical and the fact that they themselves do it alongside us makes it energetic. With just 4 four months in the box, I feel fitter than I ever was and I hope to follow the CrossFIT way of life in the time to come.